Tuesday, September 25th, 2018 at 12:41pm. 1. The town was named after the Native American tribe that resided in the area in the 1600s. 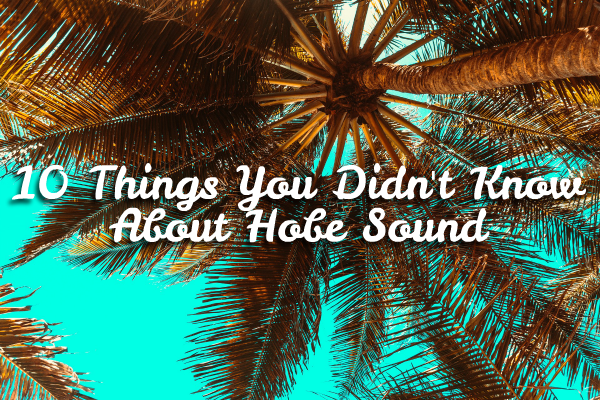 The Jobe and Tequesta Indians (hence where the neighboring town of Tequesta also got its name) were discovered when British cargo ship, The Reformation- carrying sugar, rum, beef and molasses from Jamaica to New England- sank off the north end of the Jupiter Inlet. Captain Jonathan Dickinson and his crew of 25 men befriended the natives and gave Hobe Sound its name in their honor in 1699.